New data points: Fraud penalties expected to reach $100 million or more. Other insurers required to cease doing business with HIIQ as part of their fraud settlements. 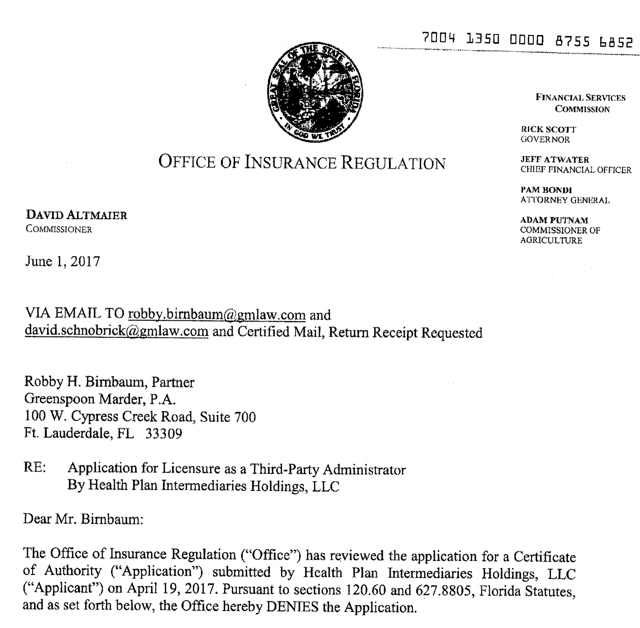 June 2017: HIIQ rejected for key insurance license in home state of Florida as regulator uncovers undisclosed legal actions against HIIQ insiders. 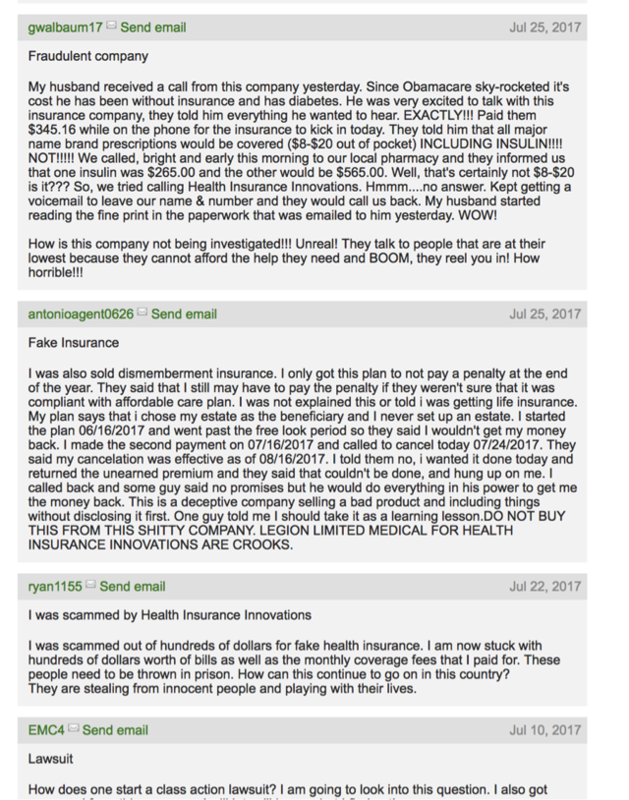 HIIQ privately warns of disastrous “domino effect” spreading to other states, causing additional loss of licenses. HIIQ makes no disclosure to investors. Regulatory catalysts now approaching in October 2017. Insiders have been publicly hyping the stock while simultaneously dumping $50 million in shares. HIIQ is nearly identical to five of my past trades where Craig Hallum was on the other side. They each plunged by 80-100%. SEC investigations, fraud suits and delistings. Disclosure: This article represents the opinion of the author. The author is short HIIQ. 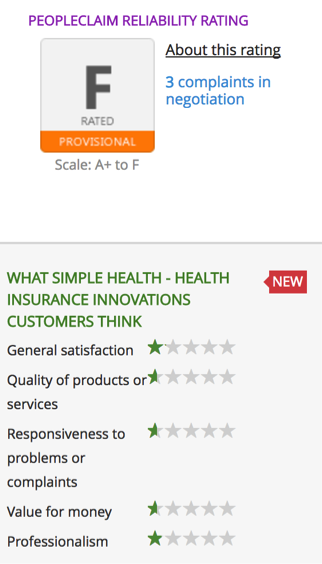 Health Insurance Innovations (HIIQ) develops, distributes and administers individual health and family insurance plans (“IFP”), including short-term medical (“STM”) insurance plans and guaranteed-issue and underwritten Health Benefit Insurance Plans (also known as “hospital indemnity” plans). HIIQ designs these plans on behalf of insurance carriers and discount benefit providers and then markets them primarily through its internal distribution network and an external distribution network of independently owned call centers. The theme I will show repeatedly below is one of “delay, downplay, dismiss, deny” which then allows insiders to aggressively dump their shares. Over the past 7 months, shares of HIIQ rose from below $5.00 to over $35.00 – a seven bagger – despite only marginal apparent improvements in its business. During this time, revenue has increased slightly, and HIIQ has successfully managed to lower its heavy dependence upon STM plans. But this does nothing to absolve HIIQ of its massive undetermined liabilities stemming from fraud investigations which now span fully 42 states. And the problems then get worse from there. HIIQ is now set to quickly plunge by at least 80% to $6.00 or below. Such a decline would really just put HIIQ back to where it was right at the time of the 2016 US election. (see chart above) In reality, I strongly expect that there is a high likelihood that HIIQ ultimately plunges to below $1.00 and faces delisting. No, this is not an exaggeration. Keep reading. 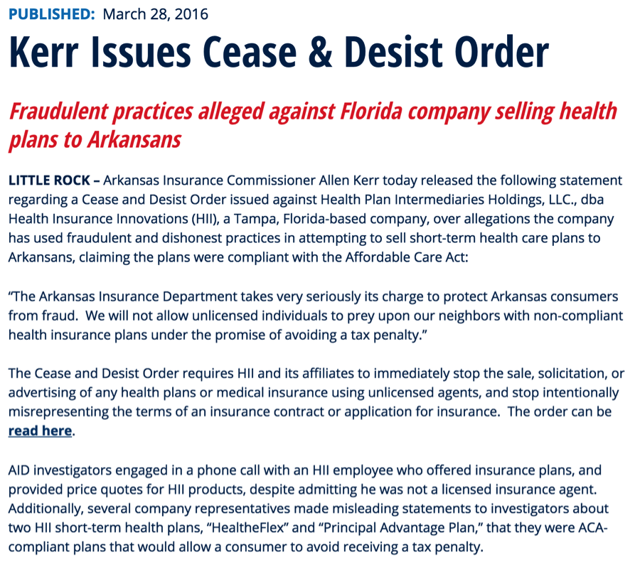 HIIQ is now facing fraud investigations or cease and desist orders from 42 different states. Recently emerged data points now indicate that legal liability will be in the range of $100 million or more (as opposed to the mere $1 million number which has been published by certain authors who recently spoke to HIIQ management). On the heels of these mounting state fraud investigations, in June of 2017 HIIQ was just rejected for licensure in its home state of Florida. In its appeal to the regulator (also from June of 2017), HIIQ then PRIVATELY cited to the regulator the specter of a disastrous “domino effect” from this rejection by which licensing denials will then spread to the other states in which HIIQ does business. These were the actual very alarming words used by HIIQ to the regulator in June of 2017, yet this impact was not disclosed to investors in the most recent 10Qor anywhere else for that matter. The scathing letter from the regulator cited multiple reasons for the denial of the license, in direct contradiction with disclosure to investors by HIIQ. For example, as part of its independent background check, the regulator uncovered multiple undisclosed legal actions against multiple HIIQ insiders. When confronted with this by the regulator, HIIQ refused to respond. Again, HIIQ disclosed something very different to investors. HIIQ has retained an expensive law firm and has now submitted, re-submitted and appealed for this license at least 4 times over the course of 2016 and 2017. Now that the final rejection is imminent, HIIQ has somehow tried to suggest that it doesn’t even need such a license in the first place. As of the most recent disclosure, the Florida regulator is set to publish its final determination in October 2017 (a few weeks from now). For the sake of completeness, I have already sent a copy of this entire article to the Florida regulator. The slew of massive legal and regulatory problems facing HIIQ is set to unravel in the very near term. There are multiple near term catalysts. The most visible catalyst is coming in just a few weeks in October 2017. HIIQ has repeatedly attempted to suggest that it is actually some other party (such as HCC) that is being investigated or is at fault. Yet anyone who reads the actual legal filings can immediately see otherwise. In the fraud complaints from 42 state governments, the repeated theme is that HIIQ has engaged in fraudulent sales practices while operating without a license. And now HIIQ has brazenly attempted to suggest to investors that maybe it just doesn’t need such licenses at all. Even as HIIQ passionately encourages investors to buy, the insiders have been aggressively dumping their own shares. 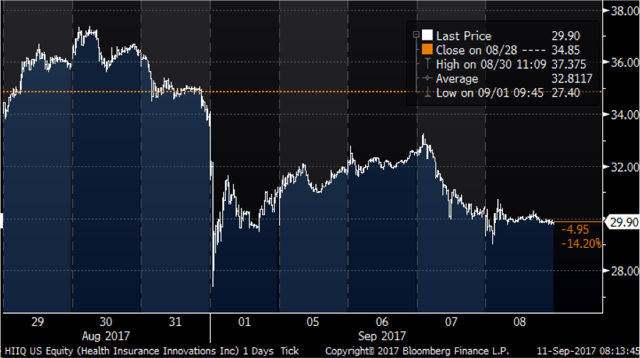 So far in 2017, HIIQ insiders have dumped millions of shares taking in over $50 million. Keep in mind that just a few months ago, the market cap of the entire company was less than $200 million. In November off 2016, the market cap was just $70 million. Notice that insiders were aggressively dumping a huge volume of shares even when the price was more than 50% lower than the current level, at just $14. Selling has come from all corners, including the founder, the CFO, CTO and the CEO of its Healthpocket division. In fact, now that the legal consequences are rapidly closing in, management’s actions are becoming downright blatant. Last week (on Tuesday September 5th), after the stock had suddenly dropped from $37 to below $30, Craig Hallum put together a hastily arranged conference call for management to reassure investors. As expected, the stock briefly rebounded. Just hours after this impromptu call encouraging investors to buy, multiple members of management began disclosing additional large share sales by insiders, quickly amounting to $1.5 million over just two days. As you read the magnitude of the problems below, keep in mind that HIIQ has a cash balance of just $27.5 million with which to run its entire business and then deal with all of these impending liabilities. The recently revealed data points indicate liability of $100 million or more. So you do the math !! It will quickly become clear why I am saying that HIIQ has the potential to drop to below $1.00 and face ultimate delisting. Either way, given the unfolding of the events above, a $6.00 share price will likely prove generous by the time Florida makes public its decision in just a few weeks. This dire prediction for HIIQ is pretty much in line with what I had predicted on five prior Craig Hallum trades. For reference, the five companies were Unipixel (UNXL), Neonode (NEON), Erickson Air Crane (EAC), TearLab (TEAR) and Plug Power (PLUG). Just like HIIQ, each of these past stocks had quickly spiked by 200-800% following gushing support from Craig Hallum. As the share prices spiked, large share sales or equity offerings then followed. As soon as I exposed their terminal underlying business problems, each of these stocks immediately plunged by 30% or more. Each of the stocks then went on to by implode 80-100%, just as I predicted. Among these five companies, we then saw various combinations of SEC investigations, fraud lawsuits, bankruptcy and/or delisting. I am specifically including below my five past articles which were specifically focused on past Craig Hallum trades on similar toxic companies. I would strongly encourage readers to have a look. The similarities to what we see with HIIQ should become 100% obvious. HIIQ is currently facing a tidal wave of fraud investigations, lawsuits and cease and and desist orders which now already extend to at least 42 states (that we know about so far). In March of 2016, here was the initial action taken by the state of Arkansas Insurance Department following a sting operation which revealed unlicensed insurance sales in Arkansas. During additional calls, “several” company representatives misrepresented the insurance products in an attempt to sell insurance plans, not realizing that the person calling was actually The Arkansas Insurance Department. 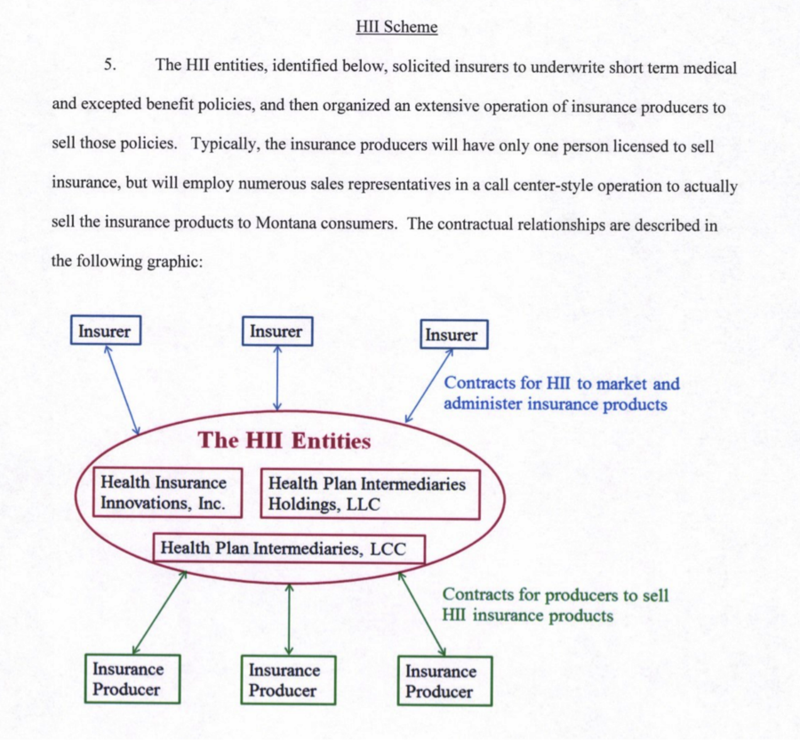 Within 60 days, in May of 2016, HIIQ had already received another cease and desist from the State of Montana, requiring the company to immediately cease and desist from selling insurance in the State of Montana. In July of 2016, HIIQ filed a very lengthy 8K announcing the appointment of Gavin Southwell as President and Josef Denother to serve as COO. Within the 8K, HIIQ spent 4 pages elaborating in deep detail the most minute details of the terms of employment for these two. And then buried in the 8K, 4 pages in, HIIQ included a single small paragraph disclosing the commencement of a multi-state investigation being headed by the State of Indiana. And now finally the company disclosed the Arkansas and Montana legal actions from months earlier. But by this time, anyone who actually made it through to page 4 of this 8K could see that the investigations had expanded to include Arkansas, Florida, Kansas, Montana, Ohio, South Dakota, and Massachusetts. When HIIQ ultimately chose to provide more detail on these investigations in March of 2017, it attempted to portray its own role as being just one target among many players. Here is how HIIQ described the Montana fraud complaint. Keep reading and decide for yourself if this is an accurate representation or if it is wildly misleading. HIIQ specifically emphasized that it was “among more than two dozen separate parties named”. But the reality is that the other parties being named in this Montana action were largely being named as a result of the fact that they were doing business with HIIQ. These policies are routinely sold though misinformation and deception at the point of sale by individuals not properly licensed or appointed in Montana to conduct this insurance business. 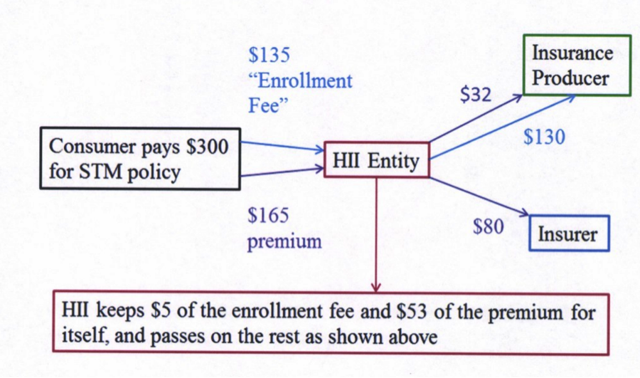 In fact, throughout this Montana action, the Montana State Auditor refers to the fraud directly as “the HII scheme”. The Montana fraud complaint includes only two graphics throughout its 25 pages. Both of these graphics specifically map out HIIQ’s role in the scheme, without any mention whatsoever of the “two dozen” other players emphasized by HIIQ. Here are the ONLY TWO GRAPHICS from the Montana fraud complaint, both of which focus ONLY on HIIQ. As various settlements from involved parties start to dribble out, we can begin to find data points to help us either confirm or contradict the disclosures from HIIQ. For example, from recent settlement agreements for other insurers named in the investigations, it was specific term of the Consent Order was that it was “contingent upon Unified ceasing to sell through HII”. In a recent article on Value Investors Club, the author had stated that HIIQ has also ceased doing business with HCC Life Insurance. He seemed to think that this was a good thing. But it now strikes me that this termination was more likely result of the multi-state investigation being headed by the State of Indiana naming HCC for its involvement with HIIQ. Multiple new data points relating to multiple states have recently emerged (including using HIIQ’s own disclosure). These now indicate that legal liability could be in excess of $100 million (and potentially much more). In the recent 10K, HIIQ noted that a penalty of $100,000 to $315,000 was “probable” in the state of Montana. Such a low penalty caused the VIC author above to be optimistic that total penalties would only be around $1 million. But in the Montana complaint filed by the Commissioner of Securities and Insurance (“CSI”), we can see that during the investigation period, HII is only said to have brought in revenues of $503,800. In other words, in its own estimation, it is “probable” that HIIQ will be forced to pay in the area of 20-60% of its revenues that were generated in Montana. Based on the past disclosure patterns from HIIQ, I believe I have a right to be suspicious that the estimate provided by HIIQ is still too low. This suspicion is entirely borne out by looking at the next settlement (which HIIQ is obviously well aware of). In the recent 10Q, HIIQ made reference to a recent settlement by a carrier for “the same set of allegations” by the Massachusetts Attorney General (“MAG”). HIIQ did not name the party by name and it stated that it was too early to predict any loss as it might apply to HIIQ. In fact, HIIQ suggested that there may not be any loss at all !! Actually, a quick legal search reveals that the party who settled was Unified Life, which has been named alongside HIIQ in fraud complaints in other states. In fact, as part of Unified’s fraud settlement in Kansas (“KID”), an explicit term of the consent agreement was that it was “contingent upon Unified ceasing to sell through HII”. Once we know this information, we can see from Unified’s settlement with the MAG that it actually paid more than 100% of all revenues it generated in the state of Massachusetts. This settlement of nearly identical charges included Unified directly reimbursing residents for 70% of all premiums paid plus 5% interest per annum !! Over the various time periods in question, HIIQ has generated over $300 million in total revenues. Feel free to make your own calculation on how to apportion these revenues across the 42 states that are currently investigating HIIQ and according to what portion of the revenues are applicable to the various investigations. What you will find is that even by stretching one’s optimism and creativity, it is very difficult to come up with a liability that is less than $100 million, even using very conservative estimates. As of Q2, HIIQ had just $27.5 million in cash. I expect that HIIQ will need to conduct a large equity offering in order to meet these liabilities. Even with its lofty current market cap of $500 million, this would present a meaningful challenge. At much lower market caps (such as the $200 million where HIIQ was just a few months ago) an adequate equity offering becomes almost impossible. But clearly HIIQ has the full support of Craig Hallum who continues to enthusiastically recommend the stock despite the obvious problems. Just recently, in June of 2017, HIIQ was rejected by the Florida state insurance regulator over its application for a license to conduct business as a 3rd party administrator in Florida. HIIQ then filed an appeal, also in June of 2017. Below is a screenshot showing how HIIQ chose to disclose this event to investors in the recent 10Q. In short, we are supposed to believe from the disclosure that it is just “no big deal”. Apparently, after the notification of fraud investigations by 42 states claiming unlicensed selling, HIIQ now tells us that it is taking a “prudent” approach and seeking a license in Florida. HIIQ states that it was only rejected because “the company had not yet provided all information required”. HIIQ notes that the denial is under appeal, set to be finalized in October. In fact, maybe the Florida OIR won’t even require a license at all !! With such muted and understated disclosure, it is no surprise that seemingly no one has even noticed this event. But actually, the rejection letter from the Florida OIR paints a dramatically different picture. The references above to “material errors and omissions” refers to something bad. In fact, it is really, REALLY bad. On its application to act as a 3rd party administrator, Florida asks the applicants if they have been a party to any civil actions over the past 10 years involving dishonesty, breach of trust, etc. The HIIQ insiders repeatedly answered “no” to those questions. But then an independent background checkby the Florida regulator uncovered multiple such undisclosed legal actions against multiple HIIQ insiders. This includes both the CFO of HIIQ (Michael Hershberger) as well as its founder (Michael Kosloske). Even when pushed by the regulator, HIIQ refused to supply information over these undisclosed legal actions. Note that together, Mr. Hershberger and Mr. Kosloske have sold over $40 million in HIIQ stock over the past few months. 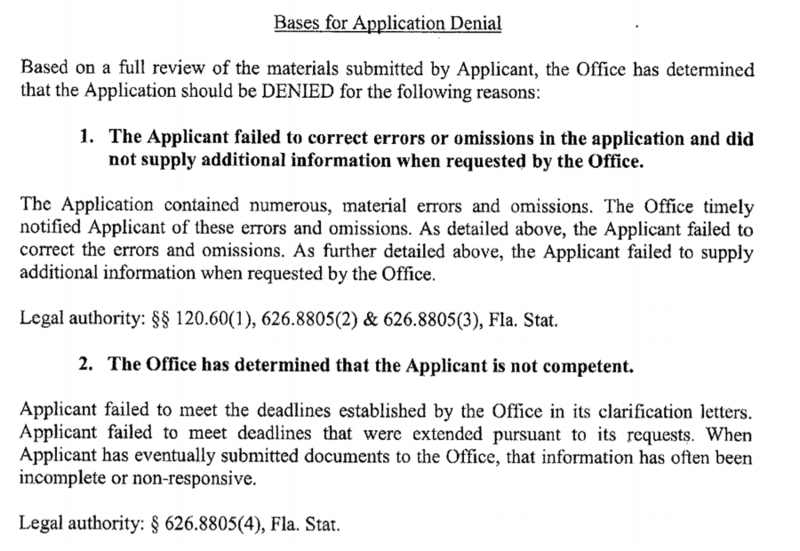 As per the above rejection letter from the Florida regulator, even when confronted with the undisclosed legal actions against multiple insiders, HIIQ refused to respond or provide the information required. As we can see in that rejection letter above, HIIQ has applied, re-applied, and then filed extended appeals at least 4 times over the course of 2016 and 2017 in order to obtain this license. HIIQ has also hired an expensive law firm in order to try to boost its cause. Yet as the rejection date is now just weeks away, HIIQ has attempted to change its story, suggesting that maybe it just doesn’t need this license at all. By reading the above rejection letter in full, you will almost certainly come to the conclusion that there is effectively a zero percent chance of HIIQ getting this license in Florida. (Separately, for the sake of completeness, I have sent a copy of this article to the listed email address of the Florida regulator at Carolyn.Morgan@FLOIR.COM). As we saw above, HIIQ’s disclosure of the Florida rejection was so muted and understated in the 10Q that most investors probably never even saw it. Those that did would have understandably come to the conclusion that it was just no big deal. But the private communications between HIIQ and the Florida regulator were not disclosed to investors. Those statements, IN HIIQ’s OWN WORDS, paint a picture which is absolutely catastrophic. Below is a screenshot showing HIIQ’s own language (filed by their law firm) describing the dire consequences that HIIQ faces if it is rejected by Florida. As shown, following its rejection for licensure as a 3rd party administrator in Florida, HIIQ / HPIH wrote a letter of appeal to the Florida regulator dated June 16, 2017. In that letter, HIIQ warned that a rejection in Florida would comprise a “reporting event”, obligating HIIQ to inform the other states in which it does business. In HIIQ’s own words, this would then trigger a “domino effect” which could result in its losing licenses in the other states where it does business. In other words, according to HIIQ itself, the consequences of a regulatory rejection in Florida will be catastrophic. To say that the interests of HPIH as an entity would be substantially affected is a radical understatement. Clearly all of this is extremely material information that investors should have been made aware of. But rather than disclose this information to investors, management has dumped over $50 million in stock this year, including just last week. By now you should start to see what I mean by delay, downplay, dismiss, deny. Just last week, HIIQ conducted an impromptu conference call to investors, arranged by Craig Hallum. Over the prior two trading days, the stock had dropped from $37 to below $30. But because of this investor call, the stock price quickly rebounded. As shown earlier in this article, almost immediately after the investor call boosted the stock last week, insiders began quickly disclosing more sales, amounting to $1.5 million across just two days. Sellers included the CFO, the CTO and the CEO of HIIQs Healthpocket subsidiary. Below is a table showing the insider sales that have occurred just during 2017. A full list of Form 4 filings can be found on Edgar. 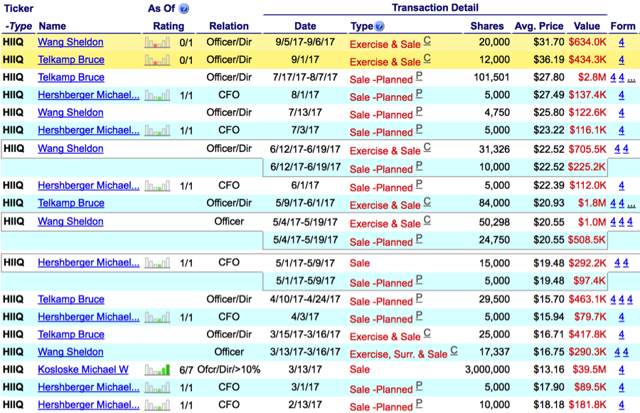 During 2017 alone, insiders have raked in $50 million from selling stock. Earlier this year, the entire company a valued at just $200 million. In November of 2016, the entire company was worth just $70 million. Realistically, no one needed any legal databases or Bloomberg to figure out what was going on with HIIQ. Here is a great hint for those of you looking for compelling short ideas. Google the name of a company along with the word “fraud”. Any time you get more than 40,000 immediate hits, you likely have a very safe short. Feel free to try this test with HIIQ before proceeding. Keep in mind that when parties are accused fraud, they very seldom raise their hand and admit it. The most common response is to put forth repeated denials for as long as possible. Even before we look at the explicit fraud investigations by 42 different state governments, we can see thousands of very explicit complaints by individual consumers from all across the country. Regardless of location, consumers across the US repeatedly use words like “fraud”, “scam” and “lies”. 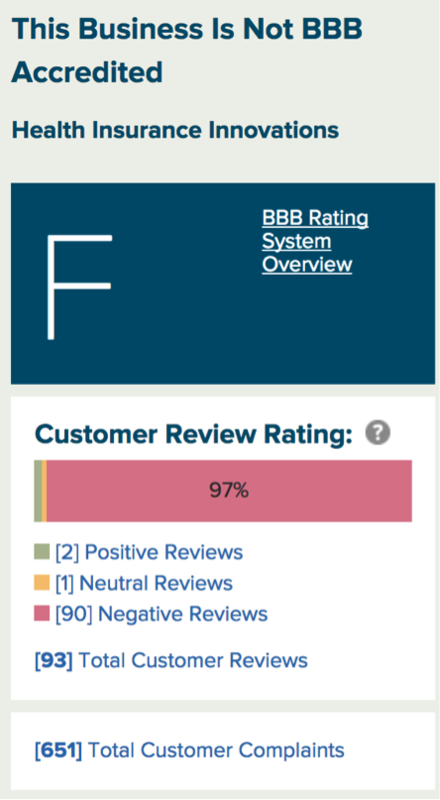 Based on this overwhelming consensus from consumers, HIIQ has actually managed to obtain the ultra-rare “F rating” from the better business bureau. On the recent investor call, Craig Hallum posed a layup question to HIIQ management, effectively stating, “tell us how bogus and erroneous the BBB complaints are”. HIIQ responded by attempted to convince investors that the BBB is a corrupt entity which has falsely listed more than 80% of the complaints on its site. HIIQ also tried to state that the huge volume of online fraud complaints are simply the result of the fact that HIIQ does a high volume of business, such that a large number of complaints should also be expected. Here are the links so that you can check their claims for yourself. At just this one site alone, HIIQ has received 651 complaints. Out of the 93 total customer reviews, 90 are negative. This is quite obviously not simply a question of “high volume”. Yet even aside from the “corrupt” BBB site, every other site I could find also contains very similar fraud complaints from different consumers in different states across the country. The reviews are again overwhelmingly negative, regardless of which site is reporting. Here is a recent screenshot of multiple consecutive reviews from qn entirely different site called ComplaintBoard.com. Next, here is the rating page and customer review profile for PeopleClaim.com, which is also separate from the BBB. Again HIIQ receives the ultra-rare “F rating” along with across-the-board ratings of 1 star out of 5 (the lowest rating possible). Before proceeding further, take a few moments to click on the links above and judge for yourself. When it comes to HIIQ, the caustic consensus among consumers from all across the country appears to be entirely similar regardless of their location. We are currently living through one of the biggest bull markets in history. Stocks of all shapes and sizes continue to surge higher, even on bad news. Yet somehow I have been able to repeatedly identify dozens of stocks which then quickly imploded by 80-100%. SEC investigations, fraud suits and de-listings followed soon after. One of my better sources of compelling short ideas (impending implosions) has been stocks which are being aggressively recommended by Craig Hallum despite the presence of very obvious problems. Each of the stocks below soared by 200-800% following aggressive and repeated recommendations by Craig Hallum. In each case, the underlying business problems were not only terminal, but they should have been entirely transparent. Not surprisingly, these companies often needed money and Hallum ended up making millions of dollars in investment banking fees across these companies. For precisely all five of the Hallum trades below, they quickly imploded by at least 30% as soon as I exposed them. They then went on to implode by 80-100%, just as I had predicted. The repeated theme was that even as the share prices soared ever higher, Hallum would just ratchet up the share price target again and again. After insiders or the companies sold shares, the share price then began its inevitable implosion. For example, Hallum’s escalating series of buy recommendations helped to take fraudulent Unipixel (UNXL) from $5.00 to over $40. Hallum’s final target before the implosion had been raised to $58.00. After I exposed the fraudulentcompany, the stock ended up getting de-listed and now trades for just pennies. But not before Hallum made millions by helping Unipixel sell shares to investors. At the time when I wrote about Neonode (NEON), Hallum’s repeated target hikes had seen the stock go from $2.00 to over $8.00. Hallum’s final target was $10.00 before Neonode imploded to $1.00 when Hallum’s predicted business developments failed to materialize. I wrote Neonode when the stock was at $7.00. As I highlighted in my article, prior to the implosion Neonode conducted a huge secondary offering in which nearly all proceeds went to selling insiders. 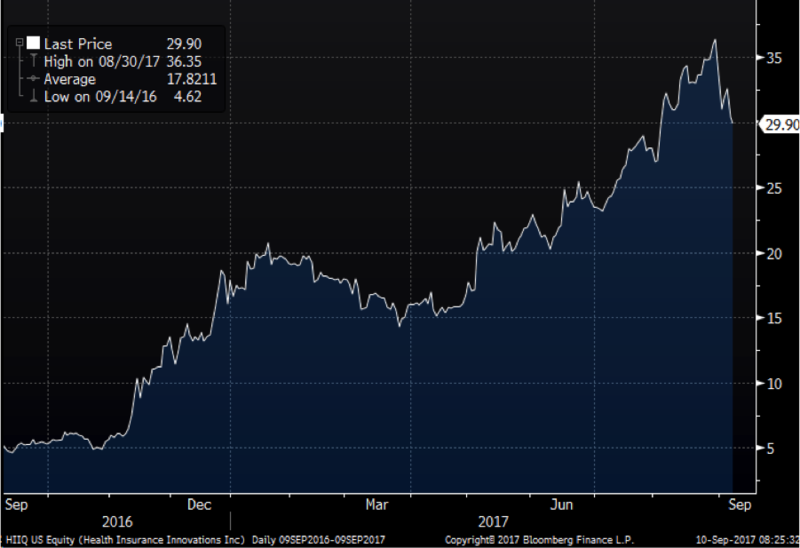 When I wrote about Erickson Air Crane (formerly EAC), Hallum’s support had seen the stock quadruple to as high as $28.00. EAC was visibly defunct and was being stripped by insiders. On the day of my article, the stock plunged by more than 30%. It quickly went on to implode to zero once it filed for bankruptcy. But not before various insiders unloaded at very beneficial prices. Plug Power was a very obvious promotion when I exposed it at $8.00. Craig Hallum was again a strong supporter. The company was also in dire need of cash. Following my article, the stock plunged to $1.00, but not before it had already raised $22.4 million from investors. TearLab (TEAR) was another defunct business in dire need of cash which was being aggressively and repeatedly recommended by Craig Hallum. With the benefit of Hallum’s support, TearLab’s share price eventually reached $18.00. When I last wrote about TearLab, the stock was still at a pre-split price of $13.00. Since that time, the stock has fallen by 99.9% as its nonsensical business predictably failed to materialize. Even after a large reverse split, the stock sits at just $1.00. But as always, TearLab was able to raise large sums of cash from equity sales before imploding. Please note: There is a very good reason why I have taken the trouble to include these links to my precedent experiences with “Craig Hallum specials”. Please take just a few minutes to read my analysis of these situations, which predicted their obvious impending implosions. Delay, downplay, dismiss, deny, then dump millions of stock. As soon as this latest fluff trade falls into the single digits, you should expect to hear me publicly say “I told you so”. Disclosure: I am/we are short HIIQ.I wrote this article myself, and it expresses my own opinions. I am not receiving compensation for it. I have no business relationship with any company whose stock is mentioned in this article.